Tuesday | June 6, 2017	Cake of the Month this June, gives you a pleasant delight, by bringing back good old classic Fruit Cake Flan! Walking down memory lane with a childhood cake you have celebrated with your grandparents, with your parents or even on your birthday, Bakerzin walks with you to reminisce, relish, and indulge on this beautiful surprise. 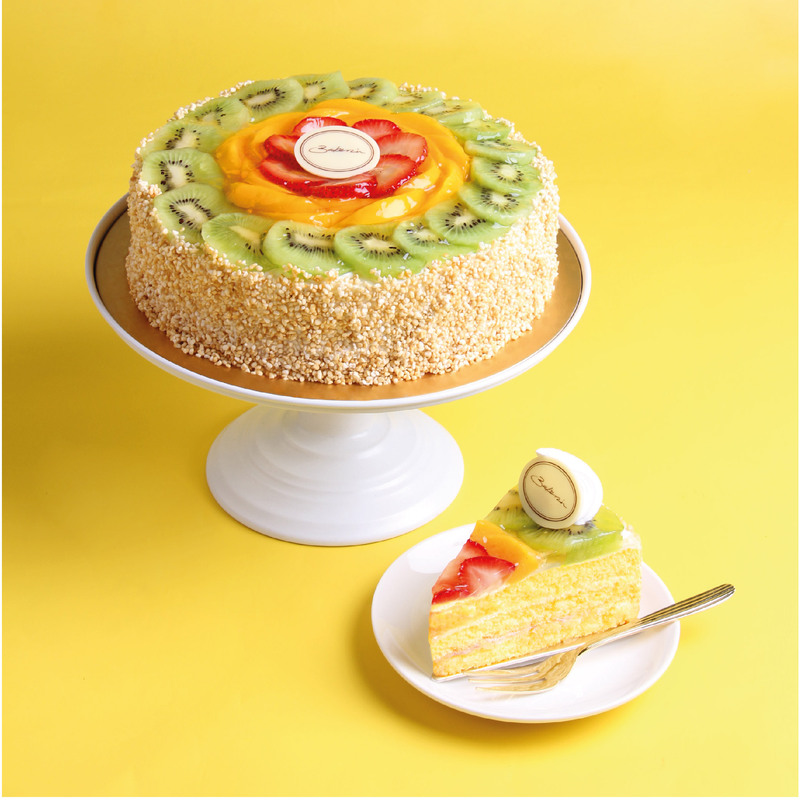 Sliced fresh fruits dressed atop a light almond sponge, drizzled sparingly with apricot glaze, each bite takes you to heaven. Fruity Sensation is now available at all Bakerzin outlets and eshop.